Want To Clean Up And Become Sober? 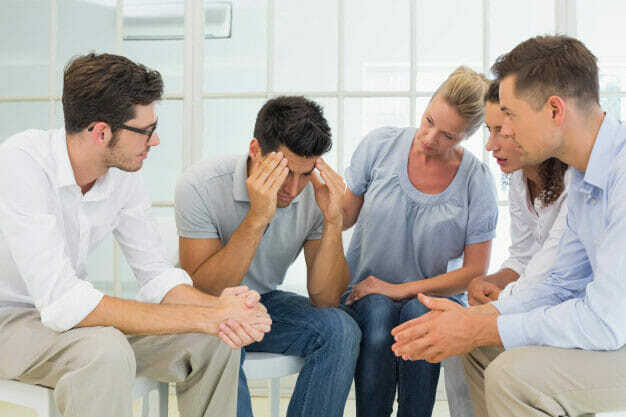 When a patient is admitted to an addiction treatment center, the first thing is detox, which may take up to two weeks depending on his or her addiction level and the addictive substance. This process is carried out by qualified staff. This is necessary to minimize the resulting discomfort because of the withdrawal symptoms and ensure it is safe. Rehab HealthCare uses effective methods of detoxification that have been found to be effective and successful over the years. As soon the patient completes the detox program, he or she is enrolled in therapy programs. When looking for an addiction treatment center, you need to understand the difference between residential facilities and outpatient centers. A residential or inpatient rehab facility is where patients live as they receive treatment. It is simply the best treatment an addict can ever get. This is because patients have an opportunity to receive premium treatment in a place that is free of toxic habits, stress, and triggers. On the other hand, when an addict enrolls in an outpatient program he or she will be required to attend both counseling sessions and meeting sessions on certain dates. They get support and treatment as they continue with their normal lives. This form of treatment is recommended for patients who require less intensive medical intervention. Remember that each addiction case is different from another. Therefore, a doctor ought to assess the patient and recommend the appropriate type of treatment. Bradford is regarded as the city on the move. It offers a lot in terms of culture. Just a few miles away from Leeds, it is the hub for textile manufacturing. As a result of regeneration efforts, it is now a cultural hotspot that is getting the attention it much deserves. The fact that it is near big cities means that you can travel at affordable commuter fees. There are over a million people residing here and several of them come from different parts of the world. Just like cities in the UK, it faces rising rates of alcohol and drug addiction and abuse. At Rehab Healthcare, we help make the process of finding a rehab center hassle free. Rehab Facilities offer a variety of treatment options, and the range of amenities they provide vary. To find the right rehab clinic to suit your needs, call 0330-113-2627 and speak to one of our advisors. Based on the information you provide us, we will help you choose the rehab centre best suited for you. Number of hospital admissions with a primary diagnosis of drug-related mental health and behavioural disorders. This is 6 per cent more than 2014/15 and 11 per cent higher than 2005/06. Number of registered deaths related to drug misuse in 2015. This is an increase of 10 per cent on 2014 and 48 per cent higher than 2005. Number of hospital admissions with a primary diagnosis of poisoning by illicit drugs in 2015/2016. This is 6 per cent more than 2014/15 and 51 per cent more than 2005/06. Work schedules and demanding family life makes it tough for patients to get the much-needed treatment to achieve long-lasting recovery. This has been the case with some Bradford residents. As you probably know, addiction cannot get rid of itself. In addition, it gets worse when left unattended. This is necessary to get the right treatment option with the ultimate goal of attaining recovery. At Rehab HC, we offer services such as group therapy, medical tests, therapy, extra-curricular activities, and detox. When looking for a reliable rehab center that is reputable and trustworthy, then look no further than Rehab HealthCare. We work extra hard to ensure you achieve your recovery and forget the damage caused by drugs, alcohol, and addictive habits. Each patient gets customized addiction treatment and support to meet his or her unique needs. Call us today on 0330 113 2627 or email us at help@rehabhc.co.uk to get more information. Our experienced support team will answer all your questions and queries.